This year will be the year of snake... 'Harry Potter' terms.... sssssssslytherine!!!!!! I am born in year of tiger. 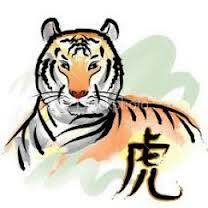 I am a 'tiger wood' with Yang element...whoa!!! Last night! I spending my time reading this over few 'masters' website on the prediction for 'Tiger' in year of snakes! 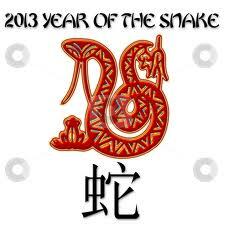 * In year of snake, please be more careful in making decision. Due to tiger nature, recklessness and impulsiveness could lead to bad decision. Your bad decision will cost you dearly! OMG!!!! Don't want make decision , can or not??? sure cannot right!!!! * Be aware on negative traits and manage them. - build on the positive and manage the negative! aiya!!!! advice like this I also know la.... but to manage the negative is the challenging task..wei! * Tiger could suffers from their rashness. - tiger are impulsive and most the time they act first and think later. - it is better for them to give a better thought and act later! seriously! this is so 'me'! mmmmmm...... total challenge for me...since I am one person unconciously act first and become concious later....so bad...hhuhuhu...still learning that deep thought before act! Tiger will have the setback if act without thinking...but overall if they are intelligent and skilled if they have that 2 seconds thoughts before charged out! - do not think wealth will follow just because tiger is powerful and grand! - whoa!!!! show me the money!!!! - but again...it says...do not make reckless decision. - again!!! reckless decision making is a setbacks!!!! - need to temper their temper! OMO!!!! its been years i am tempering my temper....still no success..... future seems so 'bleak' for romance for me..... huhuhuhuhuh...WTH!